Along with the return of the cool weather comes hearty fall comfort food favourites, such as a warm bowl of soup. This traditional New England-inspired clam chowder is cream-based, thick and loaded with potatoes, onions and clams. The perfect comfort food for fall. In a large pot, cook bacon over medium heat until crisp. Remove and set on paper towels to drain. In the same large pot, sauté celery and onion in the bacon drippings. Add garlic and sauté for 1 minute longer. Stir in the potatoes, stock, clam juice, pepper and thyme. Bring to a boil. Reduce heat and simmer, uncovered, for 15 to 20 minutes or until potatoes are tender. In a small bowl, combine flour and 1 cup of half and half cream, until smooth. Gradually stir into soup. Bring to a boil and cook, while stirring, for 1 to 2 minutes or until thickened. Stir in clams and remaining half and half cream. Heat through, but do not allow soup to come to a boil. Ladle into serving bowls, sprinkling chopped green onions and crumbled crisp bacon over each serving. Some recipes call for fresh clams, but canned clams will work for this recipe. 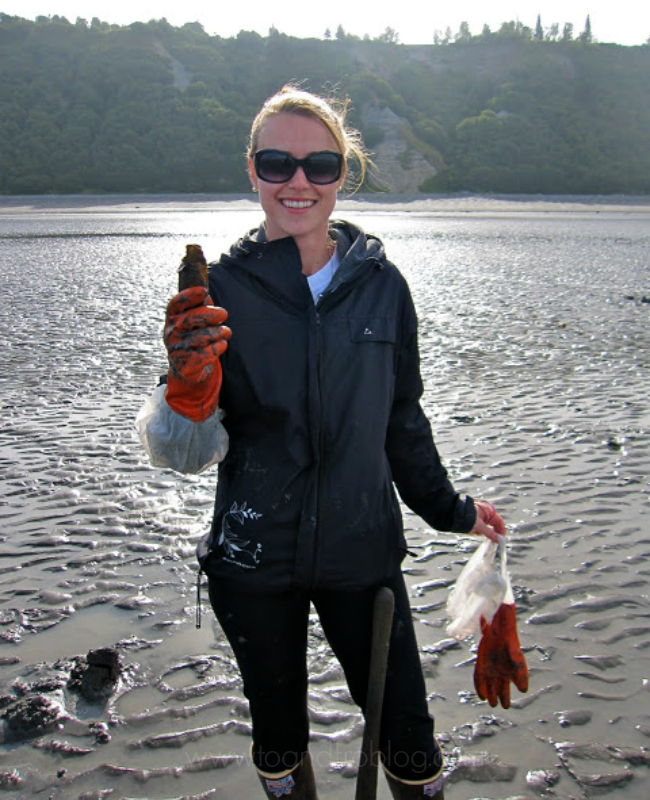 However, if you do get the chance to go clamming and collect your own, I definitely recommend the experience. It may be a challenge, but the delicious reward is worth it. 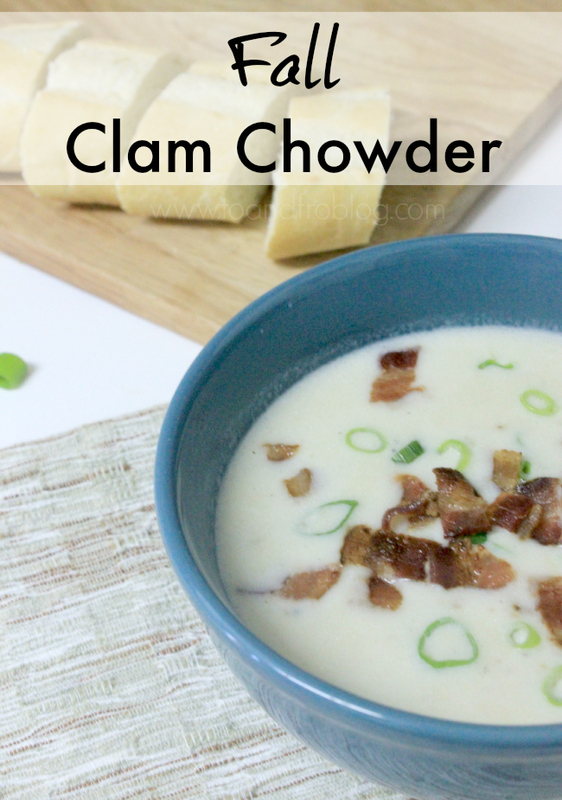 Love chowder and live in the Toronto, Calgary or Vancouver areas? Check out Ocean Wise's annual Chowder Chowdown event, filled with sustainable chowder and local craft beer. In Toronto, the event takes place on November 3 in the Distillery District. More info on the event can be found here. Do you like chowder? What is your favourite fall soup recipe?